This was written by Joshua Timberman. In this post, we will discuss a number of features that can be used in managing systems with Chef, but may be overlooked by some users. We'll also look at some features that are not so commonly used, and may prove helpful. not_if "rpm -qa | grep '^foo'"
not_if "ps awux | grep /usr/sbin/food"
Chef comes with a great many resources. These are for managing common components of operating systems, but also primitives that can be used to use on their own, or compose new resources. These actually make up probably 80% or more of the resources people will use. However, Chef comes with a few other resources that are less commonly used but still highly useful. The scm resource has two providers, git and subversion, which can be used as the resource type. These are useful if a source repository must be checked out. For example, myproject is in subversion, and your project is in git. This is used under the covers in the deploy resource. The ohai resource can be used to reload attributes on the node that come from Ohai plugins. For example, we can create a user, and then tell ohai to reload the plugin that has all user and group information. Or, we can drop off a new plugin as a template, and then load that plugin. If your recipe(s) manipulate system state that future resources need to be aware of, this can be quite helpful. The http_request resource makes... an HTTP request. 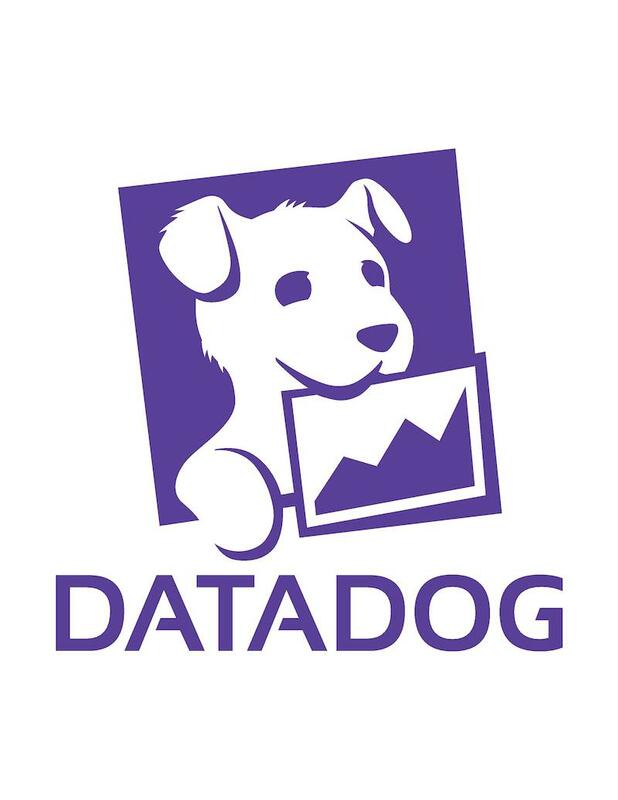 This can be used to send (or receive) data via an API. If you're building a custom lightweight resource/provider for an API service like a monitoring system, this could be a helpful primitive to build upon. Aside from the resources built into Chef, Opscode publishes a number of cookbooks that contain custom resources, or "LWRPs". See the README for these cookbooks for examples. There's many more, and documentation for them is on the Opscode Chef docs site. For a number of reasons, people may need to manage the content of files by replacing or adding specific lines. The common use case is something like sysctl.conf, which may have different tuning requirements from different applications on a single server. Many folks who practice configuration management see this as an anti-pattern, and recommend managing the whole file instead. While that is ideal, it may not make sense for everyone's environment. The Chef source has a handy utility library to provide this functionality, Chef::Util::FileEdit. This provides a number of methods that can be used to manipulate file contents. These are used inside a ruby_block resource so that the Ruby code is done during the "execution phase" of the Chef run. For another example, Sean OMeara has written a line that includes a resource/provider to append a line in a file if it doesn't exist. In managing file content with the file, template, cookbook_file, and remote_file resources, Chef compares the content using a SHA256 checksum. This class can be used in your own Ruby programs or libraries too. Sure, you can use the "sha256sum" command, but this is native Ruby instead of shelling out. The class to use is Chef::ChecksumCache and the method is #checksum_for_file. However, sometimes we have versions that use three points, and matching on the third portion is relevant. This would get lost in #to_f, and greater/less than comparisons may not match with strings. The [Chef::VersionConstraint](http://rubydoc.info/gems/chef/10.16.2/Chef/VersionConstraint) class can be used for version comparisons. It is modeled after the version constraints in Chef cookbooks themselves. First we initialize the Chef::VersionConstraint with an argument containing the comparison operator and the version as a string. Then, we send the #include? method with the version to compare as an argument. For example, we might be checking that the version of OS X is 10.7 or higher (Lion). Chef's version number is stored as a node attribute (node['chef_packages']['chef']['version']) that can be used in recipes. Perhaps we want to check for a particular version because we're going to use a feature in the recipe only available in newer versions. By default, the data stored on the Chef Server is not encrypted. Node attributes, while containing useful data, are plaintext for anyone that has a private key authorized to the Chef Server. However, sometimes it is desirable to store encrypted data, and Data Bags (stores of arbitrary JSON data) can be encrypted. Next, create the data bag that will contain encrypted items. For example, I'll use secrets. Next, create the items in the bag that will be encrypted. Chef comes with a built-in "REPL" or shell, called shef. A REPL is "Read, Eval, Print, Loop" or "read what I typed in, evaluate it, print out the results, and do it again." Other examples of REPLs are Python's python w/ no arguments, a Unix shell, or Ruby's irb. In Chef 10 and earlier, the Chef REPL is invoked as a binary named shef. In Chef 11 and later, it is renamed to chef-shell. Additional options can be passed to the command-line, including a config file to use, or an over all mode to use (solo or client/server). See shef --help for options. There are many possibilities for debugging and exploring with this tool. For example, use it to test the examples that are presented in this post. The methods available in the "main" context of Shef are also available to your own scripts and plugins by requiring Chef::Shef::Ext. In Chef 11, this will be Chef::Shell::Ext, though the old one is present for compatibility. One of the features of Chef is that Recipes are pure Ruby. As such, we can manipulate things that are in the Object Space, such as other Chef objects. One of these is the Resource Collection, the data structure that contains all the resources that have been seen as Chef processes recipes. Using shef, or any Chef recipe, we can work with the resource collection for a variety of reasons. We can use the resources method to open a specific resource. To work with this, it is easier to assign to a local variable. Then, we can call the various parameters as accessor methods. This is a pattern that has become popular with the idea of "Library" vs. "Application" cookbooks, and Bryan Berry has a RubyGem to provider a helper for it. One of the features of a Chef cookbook is that it can contain a "libraries" directory with files containing helper libraries. These can be new Chef Resources/Providers, ways of interacting with third party services, or simply extending the Chef Recipe DSL. Let's just have a simple method that shortcuts the Chef version attribute so we don't have to type the whole thing in our recipes. First, create a cookbook named "my_helpers". Then create the library file. This can be anything you want, all library files are loaded by Chef. Then, since we are extending the Chef Recipe DSL, add this method to its class, Chef::Recipe. Next, I'll use a helper library for the Encrypted Data Bag example from earlier to demonstrate this. I created a separate library file. It's only 45 lines counting whitespace. Simply save that to a file, and then create a recipe file, and run it with the filename as an argument. content "I have some stuff I'm stashing in here." This functionality is quite useful for example purposes, and a ticket (CHEF-3571) was created to track its addition for core Chef. There's a rising ecosystem of tools surrounding chef. 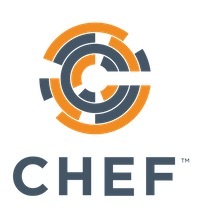 Many of them use the Chef REST API to expose cool functionality and let you build your own tooling on top. spice and ridley provide ruby APIs that talk to Chef. pychef gives you a nice api for hitting the Chef API from python. Chef has the ability to send output to a variety of places. By default, it will output to standard out. This is managed through the Chef logger, a class called Chef::Log. log_level: the amount of log output to display. Default is "info", but "debug" is common. log_location: where the log output should go. Default is standard out. verbose_logging: whether to display "Processing:" messages for each resource Chef processes. Default is true. The first two are configurable with command-line options, or in the configuration file. The level is the -l (small ell) option, and the location is the -L (big ell) option. In the configuration file, the level should be specified as a symbol (preceding colon), and the location as a string or constant (if using standard out). The verbose output option is in the configuration file. To suppress "Processing" lines, set it to false. Use the log level fatal so normal logger messages aren't displayed. To make this permenant for all runs, put it in the config file. You can create your own formatters, too. An example of this is Andrea Campi's nyan cat formatter. You can deploy this and use it with Sean OMeara's cookbook. Chef has an API for running report/exception handlers at the end of a Chef run. These can display information about the resources that were updated, any exception that occurred, or other data about the run itself. The handlers themselves are Ruby classes that inherit from Chef::Handler, and then override the report method to perform the actual reporting work. Chef handlers can be distributed as RubyGems, or single files. Chef becomes aware of the report or exception handlers through the configuration file. For example, if I wanted to use the updated_resources handler that I wrote as a RubyGem, I would install the gem on the system, and then put the following in my /etc/chef/client.rb. Then at the end of the run, the report would print out the resources that were updated. For handlers that are simply a single file, use Opscode's chef_handler cookbook. It will automatically handle putting the handlers in place on the system, and adding them to the configuration. hipchat: the hipchat gem itself includes a Chef report handler! chef-handler-graphite: send Chef run report data to graphite. A feature that has existed in Chef since its initial release is "node tagging". This is simply a node attribute built in where entries can be added and removed, or queried easily. One can certainly use other node attributes for storing data. Since node attributes can be any JSON object type, arrays are easily available. Howeer, "tags" have some special helpers available, and semantic uses that may make more sense than plain attributes. Part of the idea is that tags may be added or removed, flipping the node to various states as far as the Chef Server is concerned. For example, one might only want to monitor nodes that have a certain tag, or run data base migrations on a node tagged to do so. In Chef recipes, we can search for nodes that have a particular tag. Perhaps nodes tagged "decommissioned" shouldn't be monitored. The recipe DSL itself has some tag-specific helper methods, too. raise "Why am I running Chef if I'm decommissioned?" If the tags of the node need to be modified during a run, that can be done with the tag and untag methods. There are knife commands for viewing and manipulating node tags. Created tags powered_off for node web23.example.com. Deleted tags powered_off for node web23.example.com. Hopefully this post contains a number of things you didn't know were available to Chef, and will be useful in your Chef environment. Super helpful Chef tips. Thanks Joshua! I'm chum that sometimes use ani-pattern "In-place file editing". Thank you a lot for your tips, they are mega-helpful.